The conference is honoured to host Gita Jayakumar as an inspirational Guest Speaker from India. 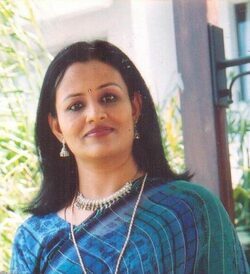 Gita is an alternative healer, fitness instructor and life coach based in Chennai, India. She practices over fifty different modalities in alternative healing, including ACE, META Health, Lifestyle Prescription, EFT, Bach Flower Therapy among others. She offers one-to-one consultations online and offline, certification and training workshops offline and online, besides public speaking engagements in her capacity as a motivational speaker. Gita works on wholesome solutions for mind, body and soul healing to create comprehensive mental, emotional, physical and spiritual health and well-being. She combines the best of diagnostic and therapy tools from energy healing with a range of other therapy modalities to help achieve one's goals - be it good health or abundance. Whether it is an illness or an issue with abundance, coping with stress or care-giving for a loved one, Gita guides her clients with highly customized approaches to support their needs from time to time. With tailor-made solutions, one-to-one consultations, group workshops and certification courses, Gita remains committed to helping create a healed world, one person at a time. In her talk,' Health in Your Hands' , Gita will be sharing her experience using two methodologies, identifying the core issue underlying one's symptoms and inroducing BrainWorking Recursive Therapy® (BWRT). Your body is intelligent and uses symptoms to communicate with you about something that is going on.To listen to your body, to switch out of unhealthy, unnecessary patterns that keep you from being your authentic self, and to respond to your body’s call for attention to an underlying issue, you need to just start by looking for the core issue that is underlying all the patterns that are troubling you. While mainstream medicine focuses on addressing the symptom and strengthening that particular organ, this approach is wholesome: it looks at the entire body, identifies the underlying issue, and then helps you find a way to solve it. And because each body is different in the way it experiences stress and trauma and in the way it responds to these stresses and traumas, there isn’t a one-size-fits-all. Gita's passion is helping people to understand the power they have within them to heal and transform as her own transformation happened when she realisedshe could find her own answers to her issues and that she was in control ofher own life and her own healing. Gita has the ability to clearly see the issues beneath her clients symptoms and can then guide them in uncomplicated ways to move forward. Modalities and Certifications: Lifestyle Prescriptions® Specialist, META-Health Master Trainer, EFT, Theta Healing, NLP, Picture Tapping, Matrix Reimprinting, Matrix Birth Reimprinting, Access Bars, Reiki (Grandmaster), Magnified Healing, Bach Flower Therapy, Nutrition, Yoga (teacher), Aromatherapy, Acupressure, Acupuncture, Crystal therapy, Colour therapy, Tarot Card Reading, Cartouche reading, Dowsing and Healing. Read more about Gita on her own website here.